France and the United Kingdom are renowned for their love of motorbikes, whether it’s watching the superstars of the world racing around Silverstone or Le Mans or finding alternative methods to getting to work, weaving in between the stationary cars and lorries to get to work on time and unflustered, or even taking advantage of the motorbike only lanes. But a lot of these bikers only assume that careers are based around racing, which is far from the case. People all over the world, including a lot of motorcycle fanatics, are struggling to find work or employment that makes them excited to go in each day. There are so many who arrive at work in a bad mood because of the traffic and then that mood worsens because they’re in a job they hate with no chance of getting some excitement. 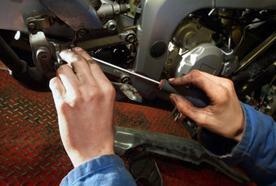 How about becoming a mechanic? It really does make you wonder why some of these people who are so enthusiastic about their motorbikes don’t turn that passion into a career because there are so many possibilities, both as an employed and self-employed person. Firstly, and most obviously, you have a career as a mechanic available to you if you’re the sort of person who loves taking your bike apart, cleaning it, servicing it and putting it back together and feeling a noticeable difference in the way it runs. You could make money doing that as a job and, what’s more, you can learn about all kinds of other bikes – Suzuki’s, Honda’s, Yamaha’s, Ducati’s, the list goes on and on. 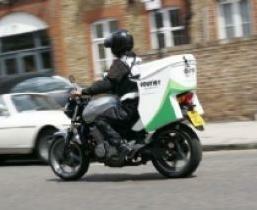 Why not become a courier? You could even become a courier, offering to ride your bike for a living, delivering parcels and packages to different areas of the country, and even abroad if you wish. Rather than sitting at home limiting your job search to jobs in Sheffield or Manchester, Paris or Marseille, you could find yourself riding out to towns, cities and villages that you wouldn’t normally get to go to, seeing the world from the comfort of your saddle and making money doing so. Transporting goods by car, van or plane can be expensive and take a lot of time, particularly if it’s a cross-city delivery. On a motorbike, a company could send an item out and the recipient could be opening it within the hour because of your ability to filter through the traffic and use the bike lanes. There are even opportunities to work at race circuits. Track days are becoming particularly popular in both the UK and France with many of the top tracks opening the gates for wannabe Valentino Rossi’s to test themselves. These circuits, therefore, need marshals and administrative people to organize everything and make sure that the day runs smoothly for everyone. This is a great way to get up close and personal with all kinds of bikes and riders. All it takes is a little bit of imagination and passion to turn a hobby into a career. So get away from the day behind the desk doing something you hate for little money, and do something you love. Many people love motorbikes but they fear to choose it as a career. but motorbikes can prove a great career if used wisely and with patience. This post provides a lot of ways to pursue it as a career option. Hope the motorbikes fanatics will get benefits from this post.